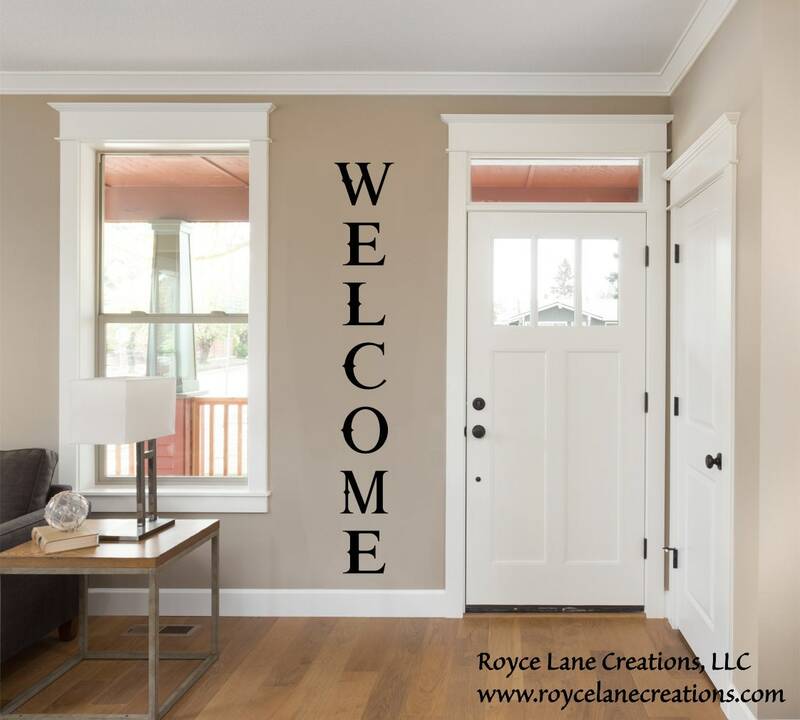 This vertical welcome decal can be used on walls or doors. 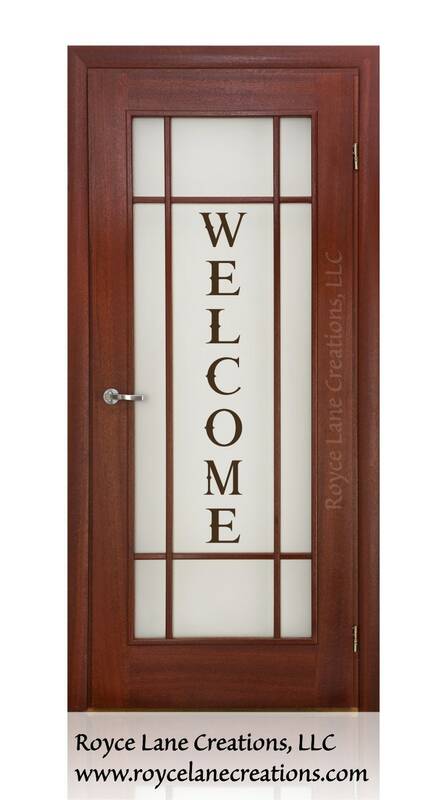 It can also be applied to a wooden board to make a welcome sign for outside a door. Our decals stick to almost all surfaces. If you will be placing the decal beside a door, please keep in mind that standard door heights are 80 inches tall. Please measure for the best fit for your surface. There are multiple photos with each listing. Look at all the photos for additional information.